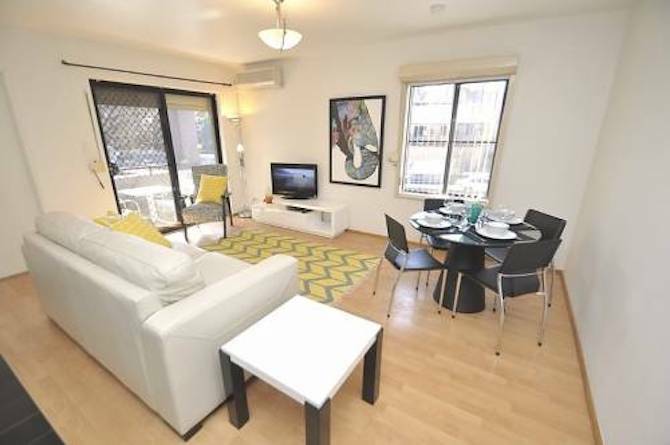 This furnished one bedroom apartment is located on Burton Street, Darlinghurst which is a 15 minute walk from the Sydney CBD. This one bedroom apartment is fully self-contained complete with everything right down to the towels and linen. This one bedroom apartment comes complete with, modern furniture, fixtures and fittings including a DVD player, plasma TV, washing machine, dryer, dishwasher, gym and pool and secure underground car parking.